Giving people responsibility and authority is a big step for business owners because for some this can lead to overload and overthinking or even, taking things too seriously. This happened to Penny Zenker when she felt she wasn’t happy with what she was doing while working for JP Morgan. Always drawn towards technology and figuring out why the solutions aren’t working, Penny made a shift in thinking and started her own company aiming to be a conduit for people’s voices and hers as well. Learn more of her productivity habits and how they help to shift emotions for better work efficiency. I’m so incredibly jazzed up actually because I get to spend some time with a friend. I get to spend some time in conversation. I love podcasting actually. It’s just a beautiful, beautiful experience of being able to learn things, being able to teach things, being able to connect and have a lot of fun. It’s terrific on all those levels. As my guest, I’m going to have Penny Zenker. She is a wonderful woman. She is an incredible mom and a business owner, international speaker, trainer, a best-selling author. She helps companies globally in a variety of ways. One of which is productivity, how to really establish great habits, great rituals for productivity. Penny will fill in the blanks on some of the areas about her personal life, her business life and where she’s pivoted. I’m so excited to be spending time with Penny Zenker talking about pivoting and her pivot story and how she’s impacted many, many lives around the world personally and in business. I always love to remind all of us including myself how precious this moment is, how sacred in fact this moment is. As we’re taking a conscious breath right now, which I know as soon I say, “Let’s take a conscious breath,” we’re all taking a conscious breath which is magnificent. Creating that peaceful breath within ourselves, it is a fact that as we’re taking that breath, there are people everywhere who are taking their very last breath on this Earth. That makes this moment not ordinary by any means. It is sacred. It is special. It is even holy. I take that very seriously. I want to remind myself of it every moment so that I can be grateful in this present moment. In this moment, I am truly grateful. I feel very blessed. 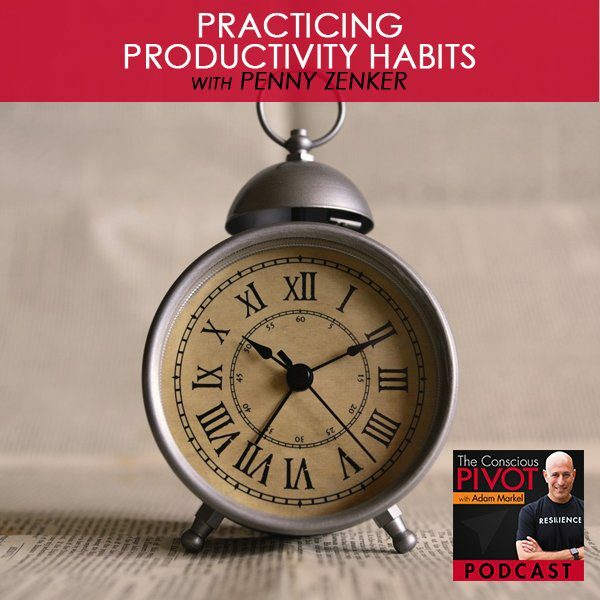 I’m very happy to have Penny Zenker as my guest on PIVOTRadio. Penny, welcome to the show. Adam, thanks for having me. I’m also extremely grateful and excited. Would you fill in the blanks on just a little bit about your background? I love to ask our guests this too. What is it that’s got you jazzed up right now? What are you excited and enthusiastic about in your business or even in your personal life? I’m happy to have you share that too. It’s important to always have something to jazz you up. It’s funny how things get connected from a simple thought and how the energy of that thought turns into something bigger. What I’m really excited about right now came from a little thought. I was at a self-development event and I had an a-ha moment where I realized that I wanted to be a conduit for other people’s voice including my voice. It came from a weird story. I didn’t get up and say my name. I went through this whole thing of what I wanted, what was important to me but I didn’t say my name in the beginning and I thought, “What does that mean?” I really reflected on that and I came to the fact that I think it means that I don’t want to be seen as the only voice. I want to be a collective. I started to think I wanted to write a story that was going to be then put into film. Designed to be in film form where it was coming from how we can each be our own hero. Productivity Habits: When we think of a hero, we think of someone else coming to our rescue but the truth is that we all have a hero within us. When we think of a hero, we think of someone else coming to our rescue but the truth is that we all have a hero within us. Putting that story together is something I’m excited about it. I have recently come into contact with the resources, a producer who is also excited about bringing some type of story like this together. Funny as it may seem, with this thought that was in my head, I came into contact with Greg Reid who is doing an amazing movie called Wish Man. It’s about Frank Shankwitz. I got involved in that project as well, like building the momentum. I’m excited to be part of Wish Man and to get this movie written and produced. If you could share with us a little bit about your history then. What’s the process that led you to where you are? I know that’s a big question so if you want to create some milestones along the way, that’s fine. Where did you grow up? I grew up in Wilmington, Delaware. It’s funny if we think about all the pieces of the puzzle that fit together, and Steve Jobs did an amazing Stanford address that talked about how you don’t realize how those pieces come together until later. When I first got out of college, I was in accounting. I know you were in the law field before and you were like, “Something just came up.” I never really loved it. It was practical and I’ve always been a practical person so I went for something that is practical profession. I didn’t love it. Interesting enough, I was always drawn to technology. Even when I was working for the accounting firms, I was auditing accounting software systems, analyzing trades and looking at the software. I started to get into some software development and that jazzed me. I love to create solutions, to listen to people and hear what’s not working or what possibilities there are to make things better. Technology became my thing. I accidentally started a company in 1996. This is the accidental company. I started it with four other people. They all bailed out and then it was just me. I built it up. I was in the right place at the right time and built up for myself to a multi-million dollar business and sold it to a public company while living in Europe. If it’s not hard enough to run your own company in your own language, in your own country, let’s do it somewhere else because why not? I think that was to my advantage. Everything happens for you. I learned a ton. If I never thought I understood what culture was, I see it from a completely different perspective now. I lived in Zürich, Switzerland for sixteen years. I got a completely different perspective on American culture as well as even company culture as I worked for a large company to start out with. I moved over to Switzerland with JP Morgan and you could see what it’s like being in a satellite office versus being in the headquarters, very different. I think there was a pivot there for me in terms of opening up to new perspectives and really starting to look at things in a completely different way; being more open than ever into other people’s perspectives and seeing that they see things differently. I love how you dropped in the word pivot. When you say there’s a pivot there, what were you really referring to? How are you defining pivot in that context? I’d say a shift in my life, a shift in thinking. I feel like what you’ve done is you put your finger on the essential pivot point which is about awareness and perception. How do we see the world? What’s the lens that we’re looking at things through whether the context is business or it’s personal we’re seeing through these lens? That’s shifting. If you’ve been to the eye doctor to get your eyes checked, they would put these multiple rings of new lenses in and they still do it that way. It’s remarkable. After all these years, they’re still sticking those lenses in the machine to see, “Is that clearer or is that less clearer? More clear, less clear.” I think on a basic level, that’s what pivoting is. The ability to change that lens or have a shift in the way that lens is adjusting it, recalibrating or calibrating it differently so that you see things differently. Going to Europe and working for a European company and being a part of the European company’s culture changed the way you perceived business, is that correct? Absolutely. The way that I perceive business, the way that I perceive people. I think that it wasn’t only in one context. It really opened it up to all context and areas of my life. Bridge us from that point to you came back to the United States. You ended up coming back and doing other things. Walk us through that path a little bit and then along the way. If there is another significant pivot, I know there have been several pivots, you could pick anyone of them. I would say the people who are listening to this are used to the messiest of the stories because often that’s the one that we try to hide or keep or maybe you don’t feel like it’s an area that we want to share even. I’ve had a lot of people get quite vulnerable on the show speaking about some of those things because they learn so much through the process. Now, it’s their gift to be able to share that learning with other people. I think it’s just really beautiful when we’re not judging ourselves by the pivots or those opportunities that we’ve had to learn from feedback let’s call it. I guess the challenge is there are so many pivots in our lives and I’m open to share them. I actually share a lot of my personal stories in my book because I feel that it helps people to connect with theirs. I totally appreciate the stories. If we were going to go chronological, one of the pivot points that comes out is when I did start my own business after leaving JP Morgan. I ran that business for a number of years and it ran me. There I can be messy and be honest in the context of I had no idea what I was doing. I was just a couple of years out of school, worked at a big company, working in a small company and doing everything and wearing so many hats was crazy. Some people have it, some people don’t. I take things very seriously. I’m a very responsible person. Integrity is really important. If I say I’m going to do something, I do it or if I make a commitment, I’m all in to make it happen for the most part. With my business, I took on way too much. I’m sure everybody can appreciate who’s an entrepreneur. Because I take things so seriously, I think that’s part of what was also killing me in the context of I couldn’t let go of things. I’d work 24-hour days because I was also doing application development. A problem happens and then you’ve got to fix it and then there’s another problem. Debugging something, I just couldn’t let it go. I couldn’t stop without fixing it. I get compulsion. You’re in the tech space, is that correct? Two weeks before I start, I was brought into a reorganization and I was given my boss’ job who was responsible for the holding company, which was responsible for five companies across four countries. As I was in Zürich, Switzerland, they moved me to an area that was only German-speaking. On my first day, I’m going to fire 50 people in a foreign language and I’m going to manage this much bigger organization that I’ve ever been responsible for. It didn’t take me long before I was completely overwhelmed, overloaded, questioning myself whether I was right for this, whether I have the skills. Totally in a funk and completely stuck in a rut. I went into my boss’ office and the pivot came with what he said to me. I said, “Peter, I’m just not the right person for this position. I thought I was taking on something else and this is just way too big for me. I’m out of my league.” He said, “Penny, I interviewed you really thoroughly and I watched you, how you structured things, how you made decisions. I hired you to make decisions and what you do with the rest of your time is up to you.” At first, I didn’t appreciate the brilliance of that. I thought, “What?” When I let that sink in, it was a real pivot point for me. I was thinking so tactically and operating at such a low level. Or a micro level, an entrepreneur’s level which is you wear all the hats or when you used to lick stamps. Not just that but even as an entrepreneur now, I run my business differently because I operate from a strategic perspective. I’m constantly taking a step back and looking at things strategically. Where do I focus strategically, not what’s the latest urgency? That really made a huge shift for me to understand that running a business whether you’re a one-person or you’re in a bigger business, you’re still building a team of sorts. You still have to be able to focus in the most important areas. It was a huge shift for me to get out of that. Also that pattern of thinking that I was in because that’s what that was. The thinking before the statement that Peter made to you which was, “I hired you to make decisions. What you do with the rest of your time is up to you,” before that, having had the experience of being a business owner and an entrepreneur, you were involved in the weeds. You were in the weeds of things. Working classically in the business type of thing. In the business, micromanagement. Because of its sense of responsibility, I needed to control it. Everything stops when you try to control it. People stop, things don’t work. You have to direct it and not control it. Just some huge lessons as to how to think differently. You didn’t appreciate the brilliance in the words at the time. I thought, “Easy for you to say. You’re sitting here.” He had so many wonderful words of wisdom and nuggets for me that were just like that. They were so simple that the more you thought about it, the more you saw its clarity. Sometimes the most important messages are the simplest and the shortest. They don’t have to be these big things. Sometimes the most important messages are the simplest and the shortest. My inclination is to ask where you applied that or how you applied that. I applied it in the way that I manage people going forward is giving them responsibility and authority to bring their genius to their tasks, to make sure that I clearly communicated vision and created more of a collaborative environment, created more ownership from the people. I think that gave me a sense of freedom of knowing they were part of it, therefore people support what they create. Then I felt more comfortable to be able to let go and leave it in their hands. I had to bite my tongue a few times and stay out of it when I wanted to get in it. I’ve always been good at stepping back and reflecting upon myself. As you do it more and more, it’s like a muscle. You recognize things before you actually make the mistake after time. First, you make the mistake, you make the mistake and you’re like, “I just made a mistake.” Then, “I shouldn’t have said that to them. I should just give them the flexibility.” Then after time, you hear it in your head before it actually comes out and you catch it and you’re like, “No, I’m not going to say that.” I’ve started to get better at catching it before it comes out and then just letting it go. Like a yoga practice. You let that thought come in and then you go, “That’s interesting. I could do that but I’m not going to,” and you let it go. It’s a practice. We haven’t talked about practices, but it sounds to me like you developed some new practice, some new habit around the way you were taking in information and processing it before you’d react or respond to it. You trained yourself to respond versus react in a sense that reaction might have been leaning on what was familiar, which was the micromanagement versus the response leaning towards something that required you to have faith in something new that made sense to you that you wish to adopt that was different, which is a pivot. To make that change in not only your mindset, but then ultimately what it led to an action form for you. Is that accurate? Yeah. It developed over time, but I think it was a question that I ask myself when something happens to check in on how I want to respond. It’s very simple. Then later, somebody used it in a process and I was like, “That’s it.” Sometimes you don’t know what you do until someone else present it to you and you’re like, “That’s my strategy.” My father passed away when I was young in an accident. I was eighteen and he was traveling on vacation. It was ever since that moment that I asked myself, “What does this mean?” I could have dealt with his death in a lot of different ways. I think that in anything that we do, it’s an unconscious question that we ask ourselves. The more conscious of it that you become, that you can choose other meaning. My brother laughs at me, but I always choose the meaning that best supports me. That puts me in a good mood and that is good for me because I can. That really came from when my father passed because I can remember doing it ever since then. It was a conscious choice that I took then. That question is, “What does this mean?” It’s so interesting because I’ve got a list of different questions or statements or things that in the time that I am called to pull them out and use them for teaching or for a reminder for myself. One of those questions is, “What am I making this mean?” It’s interesting because your question is, “What does this mean?” and that puts you on a space of among other things curiosity. I learned this from Steve Linder who teaches NLP and this is where I realized that that was the question. The kicker is just like Byron Katie does, you ask it again and again. That’s where you get the other perspectives. What does this mean? The first answer that comes up is going to be often not a great one. You have to keep asking it to get a little deeper into, “What does this mean? What else could this mean?” Then you really open up to options to make a choice. Those other pivots that built on top of it help me to be that much more flexible in that practice. I’m getting a tremendous hit out of what Penny is sharing. This is really valuable. I’m a fan of integrating business development conversation with personal development conversations. We’re in that space. Is there some other pivot or area of your life which caused you some great awareness similar to what you just shared? It could be business or personal related. When you love, part of love is pain. I think it would be beneficial for everybody who’s maybe been through a similar type situation. I also have been through a divorce. I believe that divorce can be harder to deal with than death in some cases. Somebody who dies didn’t choose to leave you. I got the, “I don’t love you anymore.” That’s really hard to hear and hard to accept and hard to move on from or figure out where to go from here type of thing. “What does this mean?” I asked that and actually, I believe that I had a very healthy, as positive as a divorce experience can go that I had because I asked that question. That’s not to say that I didn’t go through a lot of pain and anguish and frustration and all of those other messy emotions that come up. It’s part of the process. When you love, part of love is pain. I do believe when we can ask that question, it did shift me. One of big distinctions or pivot points is that, whether it was my mom or whether it was my ex-husband, I was always rewarded for achievement. I had a connection with achievement in love. That if I would achieve, I would be loved or it was just timing, but it brought up an understanding for me. I was being offered the CEO position of that market research company. My boss was retiring and he wanted me to stand into that role and I declined it. At that time, I have a one-year-old and a three-year-old and it just wasn’t juicing me. I know I can do the job, but that wasn’t what I wanted to see my next five or ten years with. My ex-husband was disappointed. I don’t feel like I have anything that I can give you anymore, mentor you that it was about achievement. I thought, “Maybe that’s what I had been seeking.” A lot of things happened at the same time as they do. At the same time I was getting divorced, I knew that if I declined that position that I would be out of a job. After we sold the division that we were selling, then I was going to go with that process. Then it was like, “What am I going to do with my life from this point forward? If I don’t want to do this, what do I want to do?” It was one of those moments which looking back, I can be really grateful for that it opened everything up. I think that that’s what I recognized through that process. There was a book called Broken Open and it was about divorce. I love that expression because it reflects the pain in it. That there is some pain with it but it’s opening up a whole new world, and it really did for me. Open up a new world in terms of love. I feel like I love much deeper now. I feel like I’m more alive with the passion in my work and what I do. Probably because I switched into something that I’m more passionate about in coaching and speaking and bringing a positive message across. That’s what was in it for me. You used the word process. I love the term process in connection with the topic of reinvention, pivoting, changing things. What process did you have if you can identify what that was? Productivity Habits: Everything that happens in your process after that is going to be reflected by that choice that you make. The process was it starts with whatever the conflict or situation is and then I think the first step is what does this mean? What’s the meaning that you give it? Everything that happens in your process after that is going to be reflected by that choice that you make. I would call that then awareness. What awareness have you opened up to or not? That happens too. Sometimes the process is it takes more time to get the awareness that it’s not right after the event but it’s later. For you, your marriage is ending and your business marriage is ending at the same time or in proximity to one another. You’re asking yourself, you’re curious about, “What does this mean?” Then you’re gaining awareness about what it means. I’m putting you on a spot just to see if we can dig up some of the process pieces with it. This is what’s really helpful to people to see how you dealt with it. We have our pivot process but it’s not the thing that everybody will necessarily use. I’m always curious what someone else’s process has been to navigate from what could have been a devastating time and could have had devastating consequences. It could have taken you out for some length of time. Having a very important personal relationship that was dissolving as well as a business relationship that was going to be dissolving as well. I guess it’s a moment of reality and a decision. It depends on where the decision is. I was part of the decision. I’d say there, it was a decision. It could be the acceptance. You could call it a decision or an acceptance. Questioning and the challenging of it and then acceptance. That this is what it is or it is what it appears to be. I get it because I also resist that ‘it is what it is’ thing because I always feel, “What a cop-out to say that sometimes.” It’s like a way to say, “It is what it is,” but in reality, maybe it’s just what we’re copping out about or what we’re willing to tolerate. Questioning, challenging it then there is this acceptance. Is there a few more steps in the process? It’s looking outward, a looking forward or something like that? Productivity Habits: When a decision is made for me, I don’t look back. It’s a decision and I move forward. Randi, my wife, she loves to ask this question, “What’s the creative opportunity?” That “what’s next?” is the opportunity that’s on the horizon. You said that, you asked that question. Then what was the process from there? Did you get an answer right away? Did you try some things? What did that look like for you? I almost always try some things. I plant some seeds and I water them and I see which ones pop up and which ones I like to water and which ones get dry. You put some things in the ground to see whether they would take, what they would look like, all that stuff. Is that what you’re saying? Yeah. I’m always somebody who likes to experience things. I was just telling somebody, they wanted me to make some changes in some writing that I did and I said, “Can you take a little piece and give me an example because I learn from experience?” If I can experience a couple of different things, then I can get a feel for, “Is this right for me? Is this the direction? Does it feel right? Do I get the external response that I’m looking for?” I like to see what fits. You’re trying some things on in other words. Lots of ways to describe what we’re talking. That trying on period, how long did that happen to last for you? In that context, not that long. I like to move through the phases quickly. You had two mouths to feed. You had two children to support and your own life. That’s true too. I was in a fortunate position that at that point, finances weren’t an issue. That was great. In my coping mechanism through this whole thing, that’s what I was doing in my head. Immediately through this process, I took care of myself. I want everybody to know that I joined a class. I have a trainer and I continue to this day to have a trainer. I went to bed earlier. I really took care of myself because I knew that I needed to do that. That was going to aid in my resilience. You’re talking our language here. It’s this questioning period, even a challenging period, you challenging it type of thing. There’s a period of acceptance. There is a conscious movement toward taking care of self. There is this period of, “What’s next?” questioning, what’s the creative opportunity? What’s next? Then this planting or trying things on. The process took about six months for me to land into where I entered into then a coaching training with the International Coach Academy and was going through my certification. I had found what it is that I really wanted to do. Sometimes these answers come in the weirdest places. Then you got the answer, “This is it,” at that point. Sometimes these answers come in the weirdest places. I was watching a movie and that’s what helped me to decide. Earlier on you said, “Tell us when you came back to US.” I came back seven years ago and I was able to make a decision for the move and some of this process was supported by seeing a movie and something in the movie that had nothing to do with that spoke to me. In a way they gave me clarity that said, “That’s it. That’s what you need to do.” This can happen for anybody else. You might be interacting with somebody on the bus or somebody that you meet and they say something and it didn’t have to do with that thing that you were challenged with, but it gave you an answer for it. That seems to always come to play for me as if somewhere an answer comes to me and it’s in weird places. It might be while I’m taking a shower or probably, if you think of it, it’s when you’re not focused on it. I don’t ascribe to the belief that there’s anything random in the universe. I just feel like when those things happen, call it synchronistic, call it whatever you want, but there’s just relevance and connection points to things that would seem to be random if you believe in randomness. If you believe in everything being connected on some level and oneness, then for sure it makes total sense that you would get that awareness when you least expect it. I really love this conversation, Penny. I want to ask you on the level of creating resilience. You’ve already started the answer to this so I just want to dive a little deeper with it. It’s been my experience and I think in our community, we really believe that cultivating resilience is so important in life, but especially when you become aware of the fact that we are pivoting all the time. In many ways, the pivots are painful on a certain level until you can really know what they mean. At 30,000 feet, they mean growth. They mean our evolution versus not pivoting and playing it safe or just having the status quo be the thing that we put our energy into. Creating safety, not making mistakes so that ultimately we can get to the end of the line having made the fewest mistakes and having had the straightest path. I really believe that what Henry David Thoreau wrote so long ago that, “Everywhere people lead lives of quiet desperation.” That’s really the greatest pain body in our world is this fear-based way of living so as to avoid making mistakes, so as to avoid pain. Pivoting involves pain. There are no two ways about it. Through that pain, also comes this grand opportunity for growth. I’ve pivoted so many different times that it’s not like looking at it I go, “I really want to pivot because I really want to experience that pain again.” It’s quite the opposite but rather than resist it, I know there’s a way to make the process not only tolerable, but that it doesn’t have to emotionally or mentally or physically take me out in the process. We call that resilience. The way we bounce back, come back even stronger from setback and things like that. What you were describing earlier about taking care of yourself sounds like a practice, a conscious practice, a conscious way of being and I refer to those things as rituals. You can call them habits or what have you. Do you have some very specific things you do to cultivate resilience, rituals to create resilience? I do. One of them is I look to take care of myself physically. When I fall off the wagon because sometimes we do, I have a note on my mirror that says, “Everything is better when I workout.” Just to remind me that I need to work out today even if it’s something small or if I just get down and do twenty pushups or whatever, I’ve done something. I think that it’s really important to move our bodies and take care of our bodies. I’m doing a cleanse. I really believe that helps in so many ways. Ever since that divorce process, I practice gratitude. Somebody had said to me, “You should get a journal and you should write down all the terrible things that he said and done to you.” I said, “That sounds awful. All I’m doing is filling myself with negativity. I’m going to do the opposite.” It was in conjunction with me having just listened to some Oprah program where she was interviewing somebody who’s talking about a gratitude journal and I’m like, “That’s what I’m going to do.” I practice gratitude on a daily basis. Sometimes I’m journaling it, sometimes I’m doing it in my head. I try to continue doing it always in a journal. Sometimes I’m doing it in my head or I’m asking my kids over our meal or before they go to bed. I think that it is so important to practice gratitude. It shifts the energy of our thought completely. I have so enjoyed and I’m so grateful for you, for our friendship, for you being on this podcast. I appreciate what you’ve shared so much. I will remind myself and remind our community as well. It’s just been such a joy that we get to share this in so many places around the world. It’s three simple steps that start tomorrow morning. For those of you that are wondering how you will start the day tomorrow, we’re going to lock in the win right now. First of all, the biggest win is that you wake up. I’m joking but at the same time, it’s not a guarantee. Truthfully, to wake up and to recognize in those first few moments that you are in fact waking up, that you’ve been given another day. For whatever reason, I truly believe it’s because there’s something here for you to do. There’s an assignment and that’s the reason that you are given another day. I get to this morning wake up and acknowledge I was given another day and be grateful for that. Part one, is to wake up. Part two, is what Penny has just shared with us that how important it is to create that energy of gratitude right out of the gate and then throughout the day. Wake up, be in gratitude and then the third piece of this is to declare if you are inclined to do this and I love doing this, to say, “I love my life. I love my life. I love my life.” That’s the three-part ritual for starting a day and you can create your own rituals. It’s so much fun to play with those things. Sometimes it’s mantras or it’s declarations or it’s other things. Over the years, I think what has really gotten grounded for me is something simple. I think basic that there’s not a lot of ways for me to take myself out or have other things get in the way. Simple is usable. I love so many things that you’ve shared. I’ve written some great notes, Penny. I want to remind our folks of some of the things that you’ve said. I really love this one, “Everything is better when I workout.” You have that printed and put on your mirror. There’s a book by Og Mandino, several books he wrote but one of them is called The Greatest Salesman in the World. There’s a really beautiful section in that book where he talks about that, “The idea that we want to control our thoughts because our thoughts will control our actions is actually backwards,” he says. This really caught me off guard because I have for so long been teaching that our emotions control our thoughts, they control our actions that lead to our results. He is talking, and I’m still processing this information, that it’s our actions that actually create our thoughts or that’s the opportunity that we have to have our actions then lead to our thoughts. “Everything is better when I workout,” piece is that you are putting the action first and that action will change your thoughts. It will create better thoughts. It’s cultivating something that you know that the net result of what it is you’re doing will be better than the absence of that thing. You have to fight the thought that says, “You don’t have the time. There’s something else more important.” There’s a little bit of a tug of war there. I do believe that if you get into action, it will change your thoughts. I believe it will all happen faster when you get into the right actions. That it will change your thoughts faster than like willpower, trying to do an affirmation, whatever affirmation, if you don’t believe it when you’re in action. Og Mandino, The Greatest Salesman in the World is actually a great book in so many levels. The other thing that I love you saying was, “Everything happens to serve.” For a while, I’ve been fascinated with this idea, everything happens for a reason. That never satisfied me. I was like, “What is the freaking reason? The reason is to cause me suffering and pain. Is that the reason? Or to teach me a lesson or punish me?” This is just the way I reframed that. Everything happens for a reason, and that reason is there to serve. Your statement condenses that down to everything happens to serve. I think that’s what you said earlier. I get to reflect this back to you. You also shared an incredible question with us which is, “What does this mean?” It was a part of your development, your growth as a strategic thinker, a strategic leader in a business to ask that question when your boss at the time, your mentor at the time was asking you and saying, “I hired you to make decisions. What you do with the rest of your time is up to you.” That led to this powerful question for you to pause and ask what something meant so that you could respond more from that place of strategy or strategic thinking versus micromanagement. Lastly, I asked you about your process for reinvention, the process for pivoting. What we distilled it down to which is really cool, I’ve got six things down here. One was this questioning. The questioning that’s natural at the beginning and even the challenging of, “What is? Is this real? Is this reality?” Then the, “This is reality.” That leads to something that we call acceptance, which is also what creates peace I believe. When we can accept, acceptance leads to peace. You’re in this place of acceptance. Then you are focusing on self-care. Step three is self-care. Step one is questioning, step two, is acceptance, step three was focusing on care of self. Step four was asking the question, “What’s next? What is the creative opportunity there?” Step five is trying things on so you can establish, “What do I want the new normal to look like? I’m going to try some things on and see what fits.” Lastly, step six was, “This is it.” You found something. 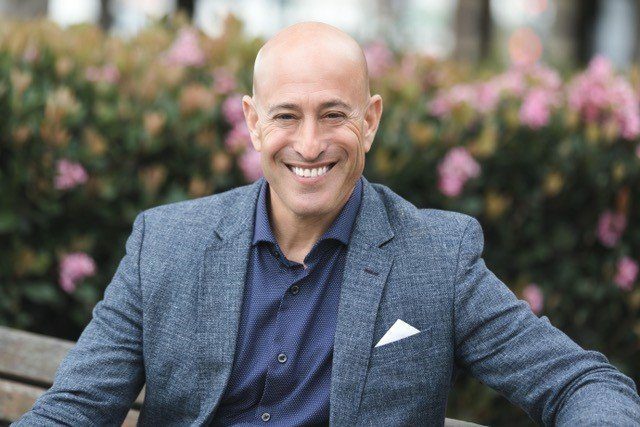 You said, “Now, I’m going to put my stake in the ground and take a stand for this thing,” which ultimately became you being a speaker and a world-renowned author and trainer and coach. Would you share the title of your book and where does people can find out more information too if they would love to follow you and learn more? My book is called The Productivity Zone: Stop the Tug of War with Time. It is what our relationship with time is. You can find information about my book. I also have an assessment that goes with it because the book covers ten core drivers that I believe help us to shift from that tactical thinking to more strategic thinking. That’s what productivity is for me is more of a strategic thinking. If I define it, we’re all talking about the same thing. You could find that on my website which is www.P10App.com. Penny, thank you so much. Thank you. It’s fun to be here. I feel so lucky to have you be part of this community. If you’ve dug this podcast, fantastic. Listen to more. Join, subscribe. You can find us on Facebook as well. I know a lot of you are already in our Start My PIVOT Community on Facebook. You can also get our kickstart guide to see whether or not you’re actually in a pivot. Whether that’s happening because the universe has decided it or whether you are determining it’s time for a pivot. You can go to StartMyPivot.com to get access to that kickstart guide. We’ll see you on the flipside. We’ll see you on the next episode of PIVOT Radio. Ciao for now.